Lately, it seems that I'm reliving my youth whether it be intentional or situational. The intentional would be slapping on 18" rims and lowering my car (Viv still rolls her eyes about this...). Situational would be Hapa Izakaya's 10th Anniversary party (which was fun) and hanging out with Miss Y. The latest adventure saw us not only go out for late night eats, but to do something I hadn't done in 10 years - Karaoke... What's next? Back to clubbing in the wee hours of the morning or growing out a mullet (hey, it looked good!)? 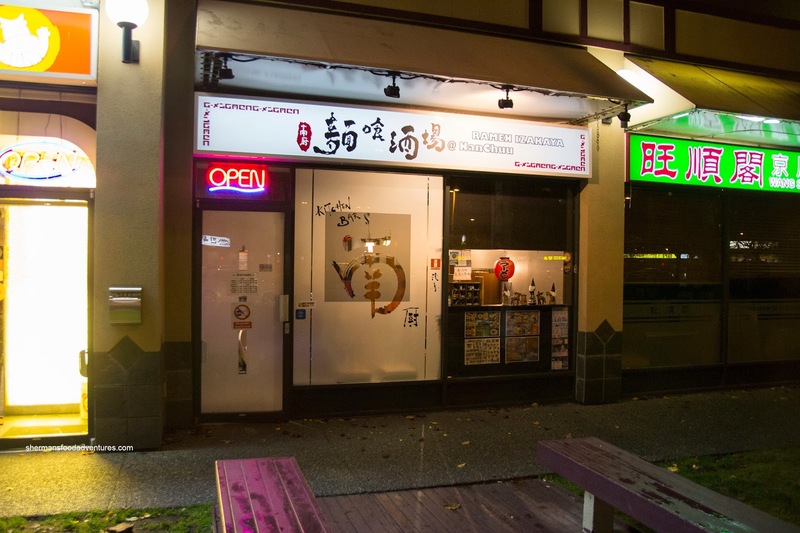 So before the butchering of great songs (on my part), we headed over to NanChuu where a slight transformation took place when they introduced ramen (with the closing of G-Men Ramen nearby). We started with the Ankimo which was generous in portion size and silky in texture. 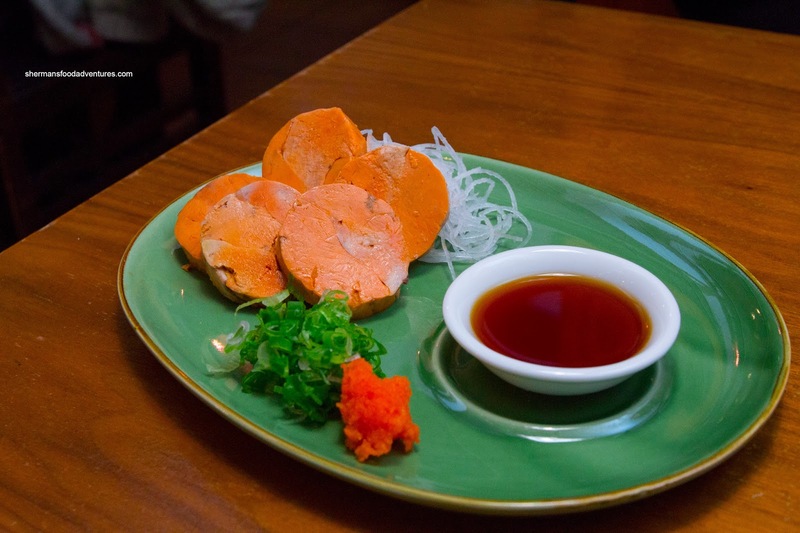 There was the distinctive taste of the sea and natural sweetness. 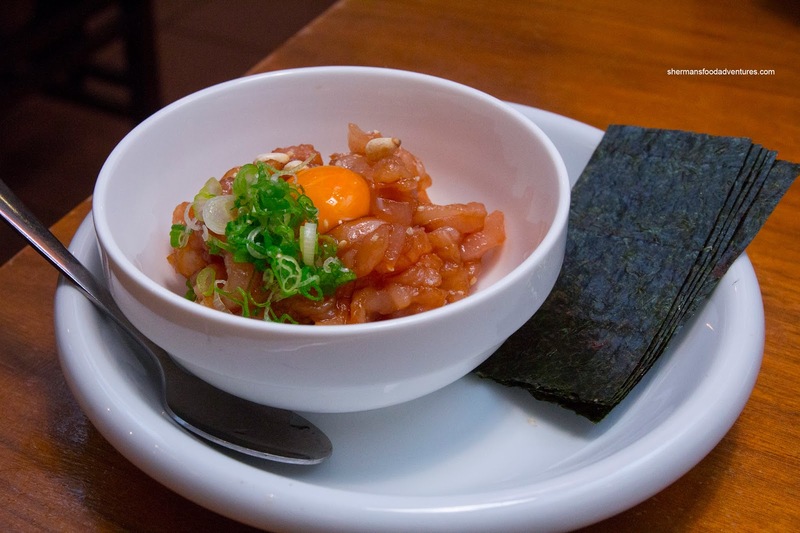 Next was an order of Tuna Yuuke topped with the requisite quail's egg yolk. It was served with a side of nori. When mixed, the tuna yuuke was more flavourful than I would've imagined. Being a bit salty, it hid the natural flavours. Yet, it was still good with the silkiness from the egg. The Beef Tataki was a bit disappointing as the meat was sinewy and chewy. In fact, we already expected that by the visuals on the plate. 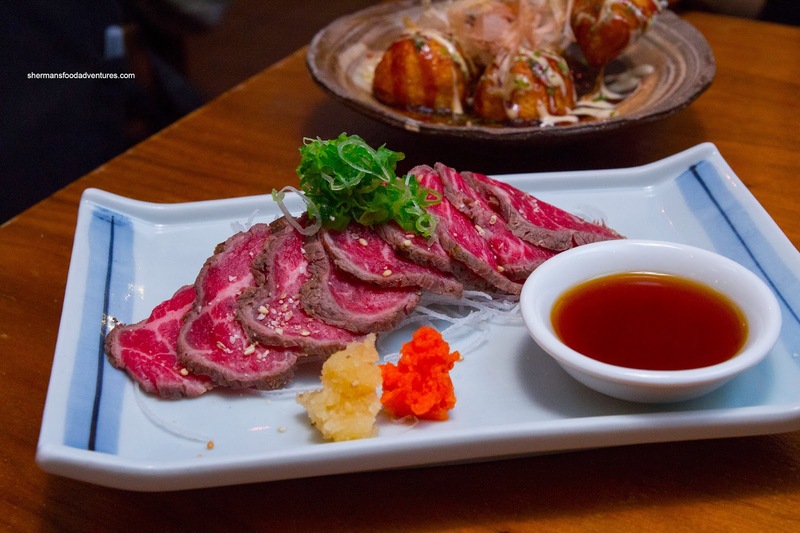 If we overlooked the texture, the meat itself was seared properly (with a beautiful colour) while the side of ponzu was nicely balanced with a good zip. 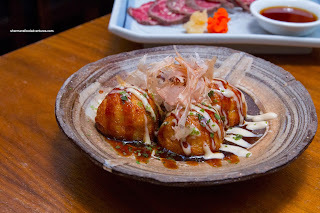 Our order of Takoyaki was properly dressed with the right amount of mayo, sauce and bonito flakes (as in not over-sauced). Each takoyaki was fluffy featuring barely chewy pieces of octopus. Nothing particularly amazing about the dish, but it was pretty standard and prepared properly. 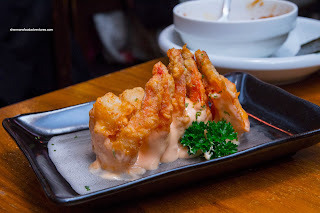 For me, a visit to an Izakaya is not complete without an order of Ebi Mayo. In this case, the ebi had a good snap while being meaty at the same time. The batter was mostly crisp except for the part that was drenched in chili mayo. I could've done with a little less mayo, but it was still good having a touch of spice. 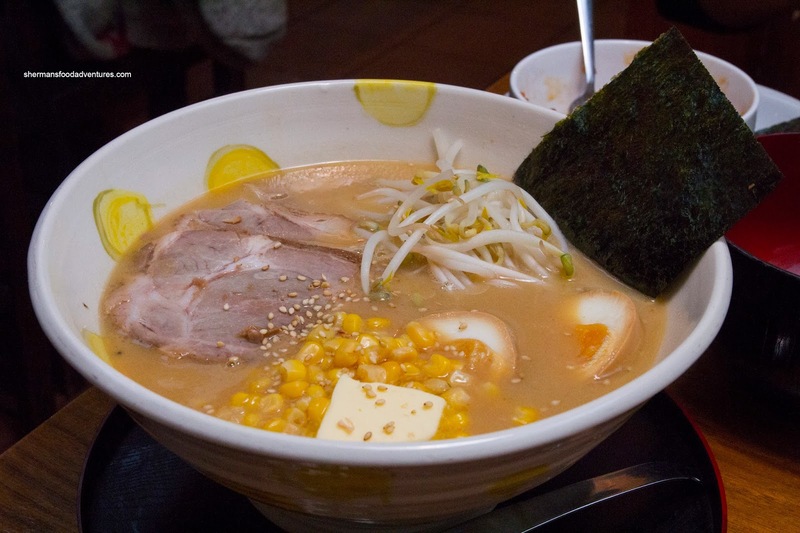 And of course we couldn't leave without trying a bowl of ramen. In this case, we tried the Miso Ramen with egg, corn and butter. The noodles were still chewy while the soup base was silky and somewhat salty. With the addition of butter, it was even more rich and a bit creamy. With a beautiful yolk, the egg was good as well as the fatty slices of chashu. This was a decent bowl of ramen. For good measure, Miss Y wanted a bowl of rice and decided on the Nori Ontama Don (Poached Egg & Seaweed Sauce on Rice). As simple as it was, the rice was nice being chewy and somewhat dry. 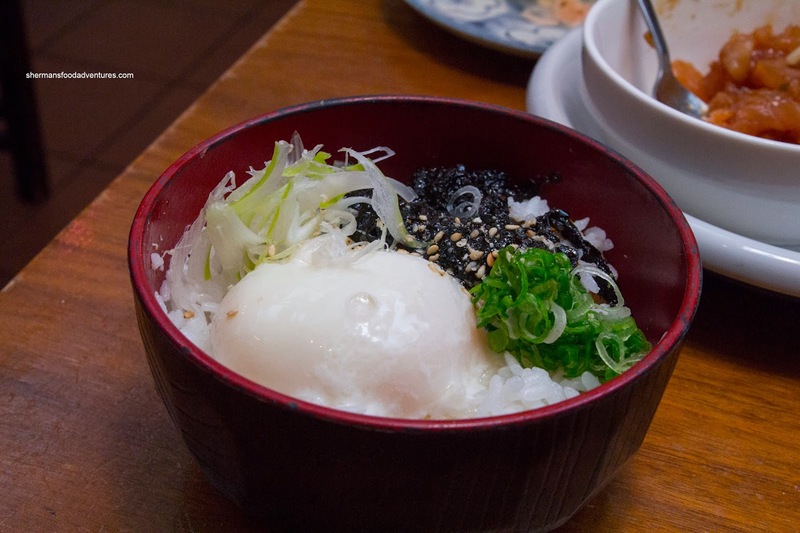 The runny egg added the moisture while the seaweed afforded a mild flavour from the sea. It was a good compliment to the other dishes. 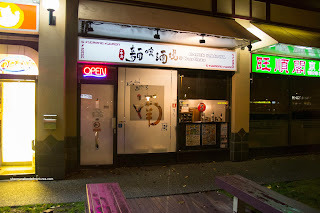 Overall, we enjoyed the food at NanChuu including the ramen. Definitely a step above some of the other "modified" Izakayas in Richmond.